Every January I truly look forward to writing this post. I find it so nice to sit down and reminisce on what I truly loved that year beauty-wise and how those picks have evolved over the years. One thing I’ve noticed is that my favorites all tend to revolve around creating one look: hydrated/healthy skin, warm-toned eyes, and a balmy pink lip (see my 2015 favorites for example). However each year I tend to discover new variations of products that were previously loved – whether it’s through trying out new Brand releases, understanding something new about my skin, or even just product technology advancing. This year my picks are a little more slimmed down. Instead of capturing a product from every single category I just wanted to showcase what was beloved over the entire year. All of these items, both makeup and skincare alike, are ones that I’m constantly reaching for or throwing into my bag for on the go use. They’re ‘holy grail’ and will likely remain that way through the next few months. Foundation | Georgio Armani Luminous Silk in 5.5 for Summer, 4.5 Other ($64, buy it here) This gives the most healthy, gorgeous looking skin. Two pumps of product allows for coverage but doesn’t feel heavy. I love to buff in with a condensed foundation brush and it never looks like I’m wearing foundation. Concealer | Estee Lauder Double Wear Stay-in-Place Flawless Wear in Light/Medium ($28, buy it here) This creamy formula works great with any natural-finish foundation as it blends beautifully and never looks cakey. It also lasts all day! I tend to dot it on areas that need more coverage (post-foundation) and then I blend in with a damp beauty blender. 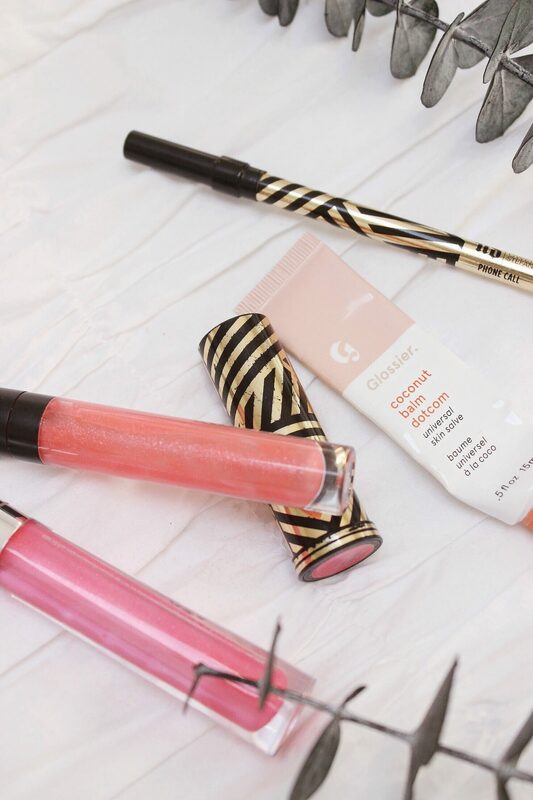 Contour | Clinique Chubby Stick Sculpting Contour ($24, buy it here) This is the only contour that I’ve found to be easy to use and natural looking. The shade is warmer than most contour colors so it gives a healthy glow to the skin. I add it to my high points on my forehead, along my jawline, and right below my cheekbones. Bronzer & Blush | Benefit Cheek Parade Palette (Limited Edition) ($58, buy it here) This palette is the best thing I’ve invested in lately as it always looks great. I use it constantly, if you can’t tell by the way I’ve hit pan in 4 out of the 5 products. 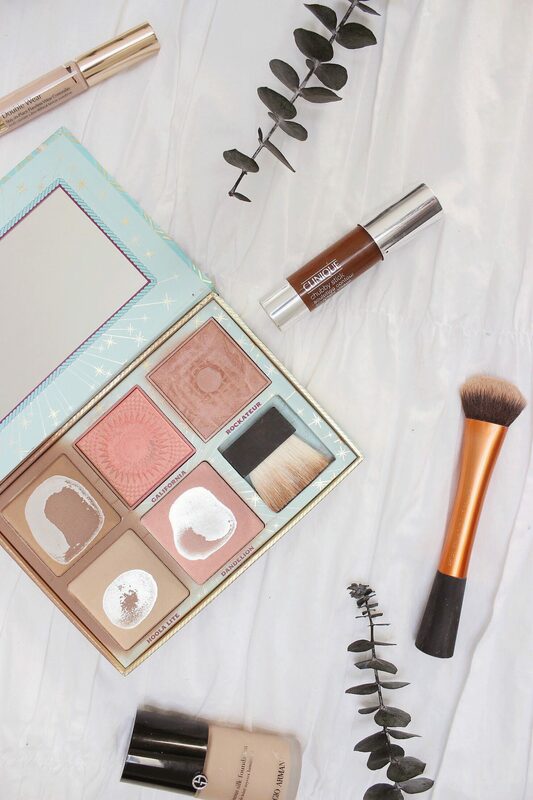 I use the bronzer (Hoola in Summer, Hoola Light in winter) on a daily basis. I also blend the blushes depending on what tone goes best with my makeup look that day. Although this is a limited edition palette Benefit comes out with a new version of this each year – I have one already purchased as a back-up! Brush | Real Techniques Expert Face Brush ($8.99, buy it here)I love using this brush with the Clinique Contour mentioned above. It is the perfect size for targeted blending. Lipgloss | Buxom Full-on Plumping Lip Polish in “Kanani” ($21, buy it here) and BareMinerals Moxie Plumping Lip Gloss in “Crowd Surfer” ($18, buy it here) The perfect sticky-but-not-sticky gloss that stays on for hours. I love both formulas and find that they don’t dry out my lips and are just a great all around. I tend to wear “Kanani” on its own as its a bit more pigmented and layer “Crowd Surfer” on top of lipsticks or stains. Lipstick | Urban Decay x Gwen Stefani in “Phone Call” ($19, buy it here in “Crush”) Since this is a limited edition shade I’ll be seriously bummed once I run out. I find this color to be the perfect pink: bright but not overbearing. I tend to pat it over my lips for a light stain effect and it doesn’t ever feel too heavy. The color is a bit more classic pink than my other favorite go-to Nars “Schiap”, which tends to be more neon. Balm | Glosser balm dotcom in “Coconut” ($12, buy it here) I keep this on my bedside for easy access and love how it hydrates throughout the night. This clear balm is easy to apply and smells like a vacation. I use it on its own or on top of the liner mentioned below. Lip Liner | Urban Decay x Gwen Stefani in “Phone Call” ($21, buy it here in “Anarchy”) Again, this was part of the UD x Gwen collab that’s no longer available but I love this shade. The liner itself is a creamy formula that glides easily and leaves a nice pigment. I tend to outline my lips and then dab the color sporadically around the middle. Then I use my finger to blend it all together, leaving a stain like appearance. Eye Makeup Remover | Neutrogena Oil-Free Eye Makeup Remover ($7.99, buy it here) I soak a cotton pad in the formula and press gently over the eyes until all eye makeup is removed. I’ve gone through bottles and bottles of this stuff since high school and have never needed to try anything else. 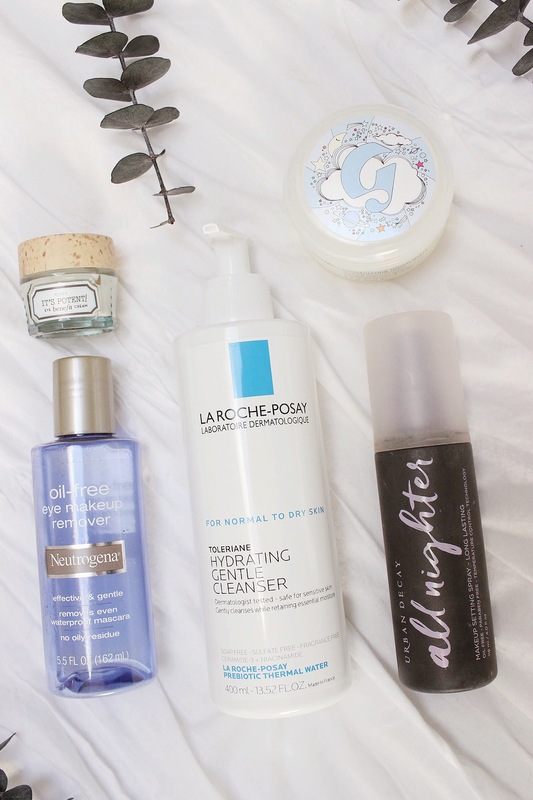 I find the formula to be gentle and nourishing, but excellent at removing stubborn makeup left over from my face wash.
Face Wash | La Roche Posay Hydrating Gentle Cleaner ($14.99, buy it here) I use two pumps on dry skin to remove all makeup then lightly add water to suds up. After massaging for about 30 seconds I rinse everything off. This is my second bottle of this product and I’ve loved it! It’s been the replacement for my holy-grail Glossier Milky Jelly cleanser. I love that the bottle is much larger and that you can pick it up at your local CVS or ULTA, vs ordering online. Face Mask | Glossier Moisturizing Moon Mask ($22, buy it here) Apply a thin layer over your face and let soak in for at least 20 minutes (TBH I tend to keep it on for almost an hour). My skin feels instantly refreshed and hydrated! 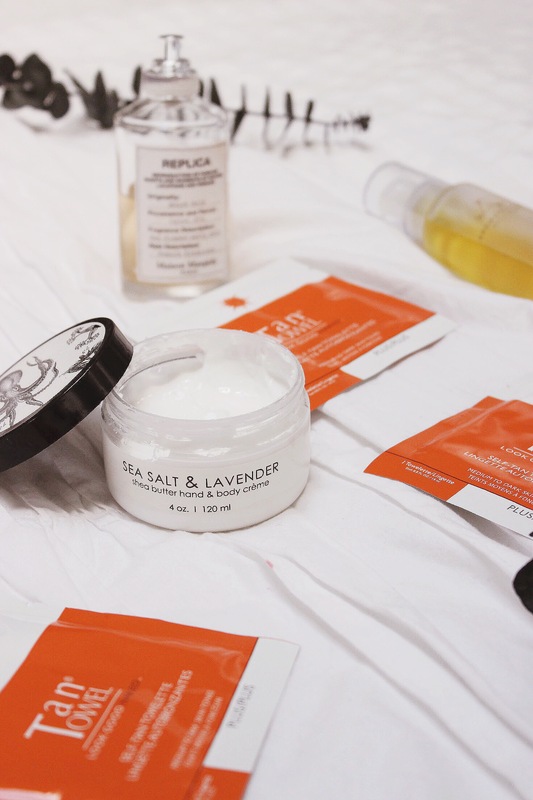 This is definitely my top face mask, and I’ve tried aplenty. 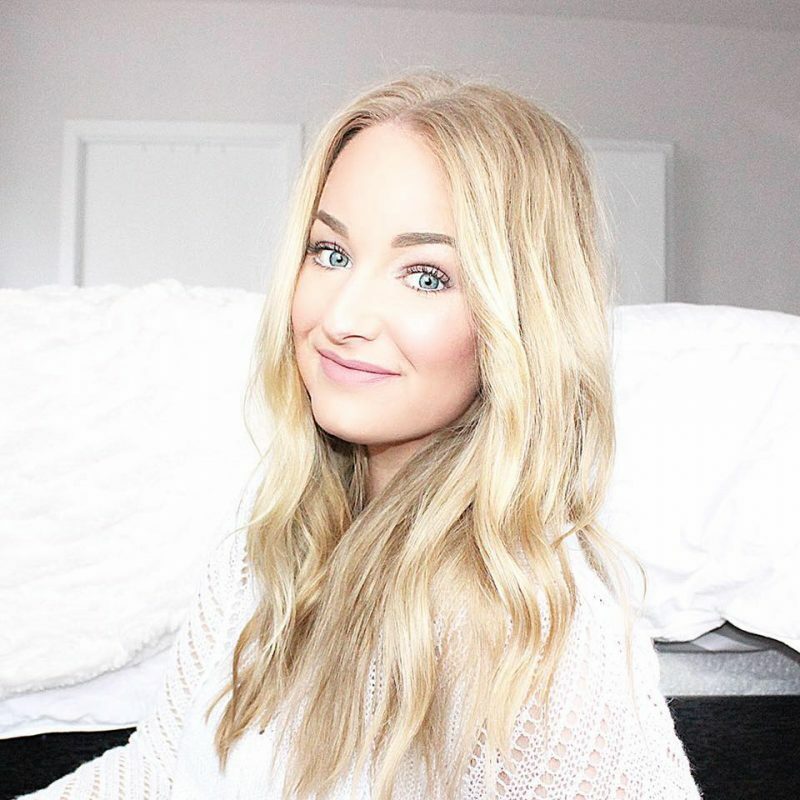 I continually repurchase it as it saves my skin year-round from dry skin in the winter and sunburn in the summer. Makeup Setting Spray | Urban Decay All Nighter ($32, buy it here) Spritz across the face once your makeup is finished. I tend to do this step though before I apply my mascara just to ensure there’s no smudging. 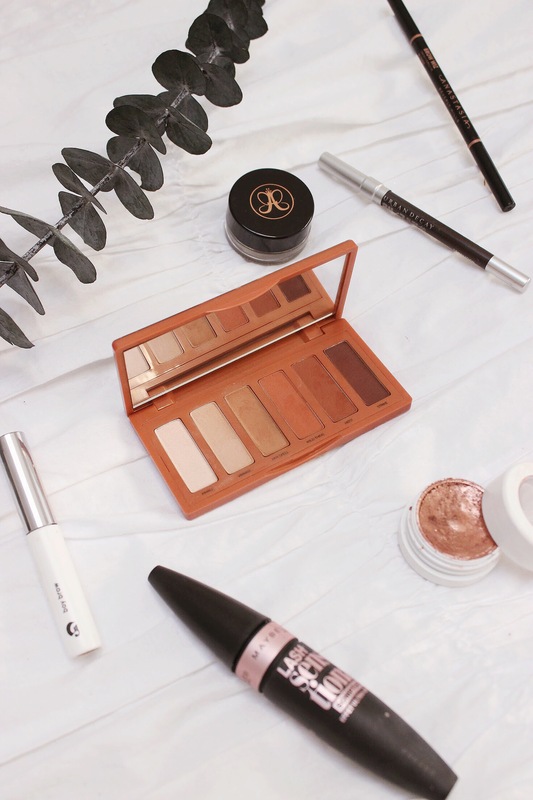 My makeup lasts me from 6 a.m. to 9 p.m. and looks fresh throughout the day! This also works great if your finish looks a bit powdery and needs some freshening up. Fragrance |Maison Margiela REPLICA in “Beach Walk” ($126, buy it here) This is the perfect scent for feeling like you’re sitting on a beach with a warm breeze – even if it’s 20 degrees outside. I absolutely love this fresh scent and have been wearing it nonstop. The entire REPLICA line is the perfect fragrance if you’re someone who finds fragrance to be overwhelming or too strong. The only downside is that the scent doesn’t tend to last as long as some of my other heartier ones. Lotion | Formulary 55 “Sea Salt & Lavender” Hand & Body Creme ($18, buy it here) I keep this on my bedside table so I can use it nightly before bed. The hint of lavender is super calming yet fresh. The formula itself is amazing and creamy without being overly greasy. I have a tub of the comforting “Bourbon & Vanilla” scent at my desk as well. Body Oil | Aromatherapy Associates Renewing Rose Body Oil ($71, buy it here) I first fell in love with this product when I got a massage at the Hershey Spa. They used this as the main massage oil and I could not stop smelling myself. I immediately went to the gift shop and purchased an, albeit expensive, bottle to take home with me. Although this is a bit pricey it is the perfect luxury item as it lasts for a long time. I use 2 pumps on my neck and arms after each shower and the scent and hydrating qualities last all day. Self-tanner | Tan Towel Full-Body Application in Plus ($29 for five, buy it here) I’ve tried many self tanners over the years and this remains to be the easiest, most natural product I’ve used. The towels themselves are large and easily glide over the body so it makes it difficult to miss a spot. The Plus color won’t give you a ‘wow did you just get back from a weeklong vacation?’ tan but instead leaves your skin with a healthy glow. I love using these year-round to boost an existing tan or to add some life back into my winter skin. I also love how the formula is clear and not strongly scented as I can sleep with it on at night without ruining my sheets or run out to do errands without that horrid self tanner smell.